You have heard people talking about making their landscaping drought-tolerant, but you don’t know it’s the right move for you. We think it is and we’ve put together a few reasons to consider removing your lawn and replacing it with a drought-tolerant landscape design. As you already know, California is in the middle of a terrible drought. California citizens of all ages and backgrounds are expected to be more responsible with their water usage. You can do your part in a big way by getting rid of your grass. It might seem like a huge sacrifice, but the benefits are hard to ignore. Keep reading to discover why this move will do you a lot of good in the long run. Keeping a lawn healthy and lush is quite a process. You throw many hours into cutting the grass, watering it, etc. However, if you don’t have any grass, you don’t have to work as hard. If you replace the grass with stones or artificial turf, you cut your chores in half. This leaves you free to spend time with your family, run errands, and perform a variety of other tasks. Do you have a tight budget? When you invest in drought-tolerant landscaping, you have one less expense. 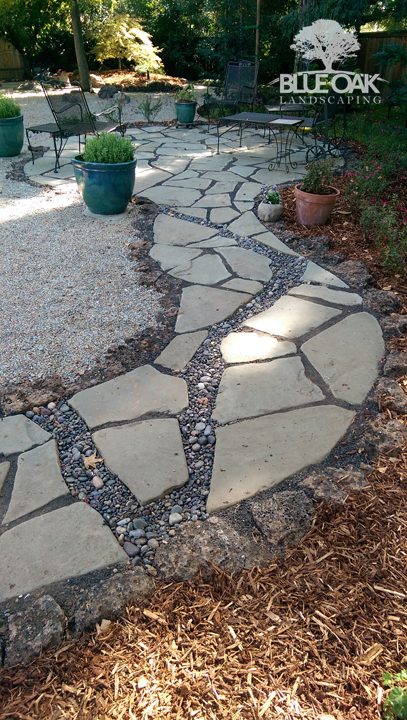 Think you’re going to be stuck with an ugly yard when you replace your lawn? Think again. There are many decoration options available for your consideration. For example, you can use statues to cover empty patches. Only your imagination could limit the possibilities. If you stay in your comfort zone for too long, you miss out on many things. Introducing a drought-tolerant yard to your property will force you to get creative and try new things. If you feel you still need some greenery around, you can get plants that are fire-resistant. You can place a stone wall around the edges of your land to stop wildfires before they can get to your home. It’s not just about a water bill. You don’t have to purchase fertilizer or seeds – at least not as frequently as before. That is priceless in itself. 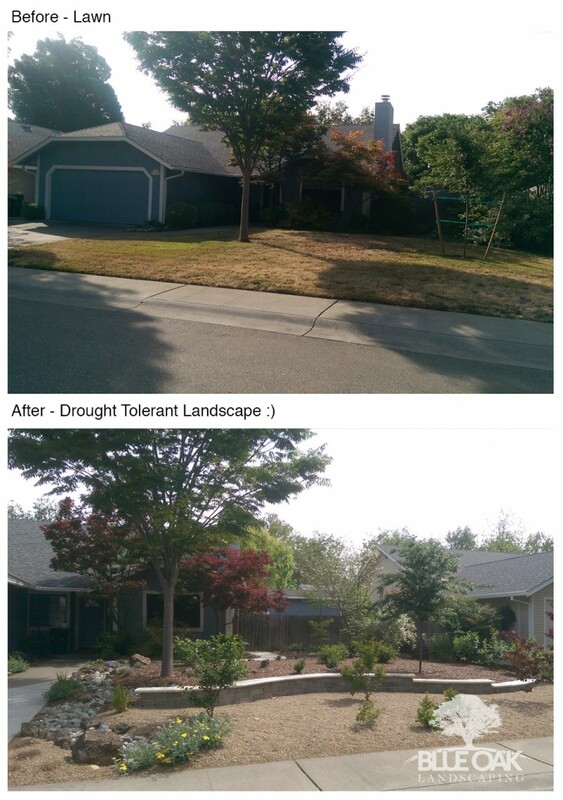 Are you thinking of converting your lawn to a drought tolerant landscaping? We’re big believers in it. 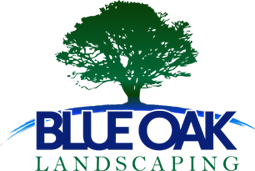 If you have any questions please don’t hesitate to ask, Blue Oak Landscaping is here to help. This entry was posted in California Drought Tips. Bookmark the permalink. ← How Much Water Can You Save By Removing Your Lawn? Reseed & fertilize Fescue. Fertilize spring flower beds. Mow warm weather grass lawns very low.